Solid Sterling Silver Racing Car Cufflinks. Bright red hand enamelled with a small domed oval spring link fitting. 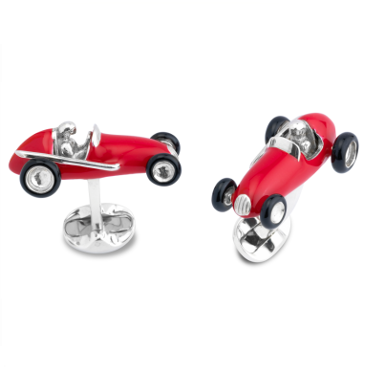 These cufflinks will keep any racing enthusiast in pole position.